David E. Runck | Fafinski Mark & Johnson, P.A. 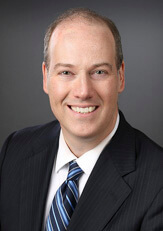 David Runck is a shareholder at FMJ and Chair of the Bankruptcy & Insolvency group. He represents clients in litigation matters involving all types of distressed and defaulted commercial loans. He represents creditors in bankruptcy cases, loan default litigation, mortgage foreclosures, receiverships, debt restructurings and loan workout negotiations. He also represents clients in civil litigation in state and federal courts. David has extensive experience assisting all types of creditors (including banks, secured and unsecured lenders, creditors’ committees, indenture trustees, bondholders, real estate landlords, and equipment finance and leasing companies) to maximize their recovery in default situations. Before joining FMJ, David was a Vice President at Wells Fargo Bank, N.A., where he served as an indenture trustee for bondholders in defaulted municipal bond transactions. Prior to Wells Fargo, he was a partner in the Financial Services department of a large Minneapolis law firm. David was a law clerk for the Honorable Nancy C. Dreher at the U.S. Bankruptcy Court for the District of Minnesota and the U.S. Bankruptcy Appellate Panel for the Eighth Circuit. While in law school, he was an editor of the Annual Review of Banking Law. In 2014, David completed the Minnesota State Bar Association’s Certified Civil Mediation Skills Training. David lives in a Twin Cities suburb with his wife and their two cats. He enjoys spending time with his friends and family, going to movies, and reading books.